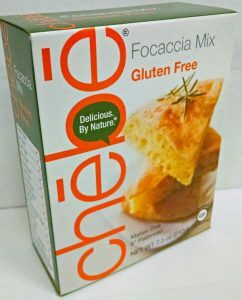 No gluten, no grain, no soy, no yeast. The recipe also shows an egg-free version. Those on restricted diets will NOT be denied fantastic, flavorful food! 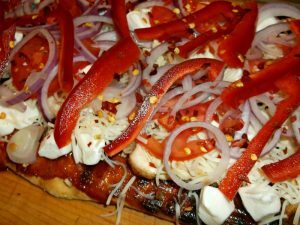 We give you: Grilled BBQ Chicken Pizza! 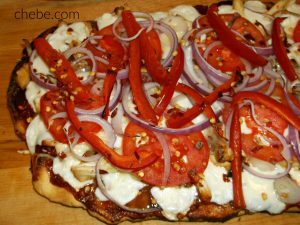 Recipe adapted from Pizza On The Grill, Karmel and Blumer, 2008. Preheat grill to high. Rub chicken breast with olive oil, then with chicken seasoning. Grill both sides until done, let cool, then shred and set aside until later. Keep the grill heated at high. 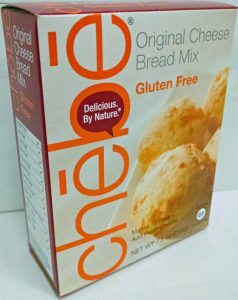 Prepare the Chebe dough according to package instructions and form into a ball, flatten slightly. 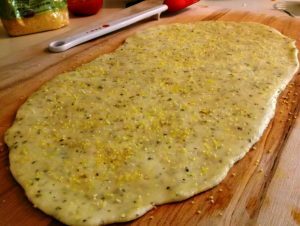 Flatten/shape the dough with hands until it is between 1/8” and ¼” inch thick. Brush with olive oil. Sprinkle both sides with polenta or grits if desired. Flip the crust to show the grilled side. 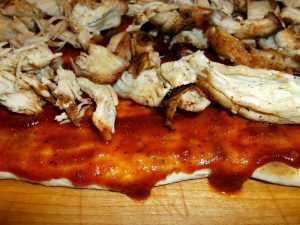 Cover with a layer of BBQ sauce, and then add the shredded chicken. 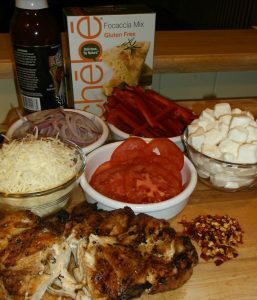 Continue topping with cheeses, tomato, onion, bell pepper, and BBQ rub or the chili pepper flakes. *Aquafaba (bean water) is the liquid from cooked legumes (pinto beans, chickpeas, lentils, etc. 3 Tbsp = 1 egg. We recommend liquid from the can of chickpeas. 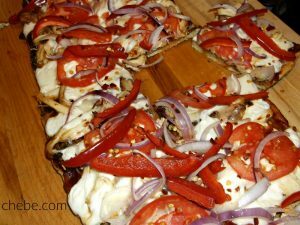 Quality ingredients make a big difference in the flavor of the pizza. We recommend a BBQ sauce w/o corn syrup or high fructose corn syrup.